Vartak has ineligible to work in the U.S. because she is on an H-4 visa. That changed today. H-1B spouses, get ready to work! On Tuesday, the U.S. Citizenship and Immigration Services announced that select H-4 visa holders will be eligible for employment authorization. It was part of President Obama's executive action on immigration in November, but has been part of a grassroots movement for much longer. It is the first reform to be implemented that's geared toward high-skilled immigrants. The H-4 visa is given to spouses of those on an H-1B, as well as a handful of other, less common, visas. At present, H-4 visa holders can't earn an income or possess a social security number. "It's a big win for the Indian community," said Shah Peerally, who heads up an immigration law firm in Newark, Calif. "A lot of people are going to be able to go on with their lives." But Ruiz says it isn't just Indian women who have suffered -- the entire U.S. has been losing out because of this policy. "In a world where everyone is competing, other countries like Canada are more competitive in giving both spouses and high-skilled workers authorization to work as soon as they arrive," he said. The U.S. misses out on the taxes that these immigrants would contribute. Ruiz said because H-1B visa holders are high skilled, it's likely that their spouses are highly skilled as well. The new rule requires H-4 holders (whose spouses have applied for green cards) to file an application for employment authorization and $380. The USCIS anticipates as many as 179,600 people might apply this year -- but it won't start accepting applications until May 26. H-4 visa holder Anagha Vartak is eagerly awaiting this date. 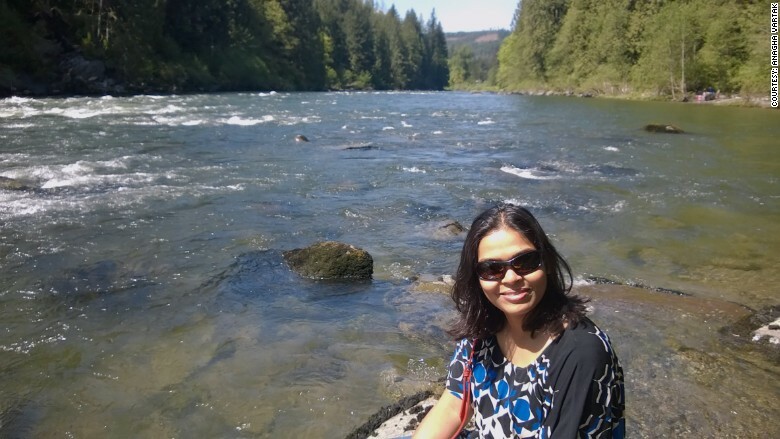 Originally from Mumbai, she moved to the U.S. with her husband in 2010. She has a masters degree and an MBA but has been unable to put them to use. "I always think about going back home [where] I can be independent," Vartak told CNNMoney in September. But today, Vartak felt differently. "I am very happy," she said. "In my mind, I'm thinking what [business] I am going to begin."